Fancy a riverside stroll in one of Britain’s prettiest villages? Honey-coloured stone cottages, a medieval church and plenty of places to shop or enjoy tea make this a delightful place to explore. 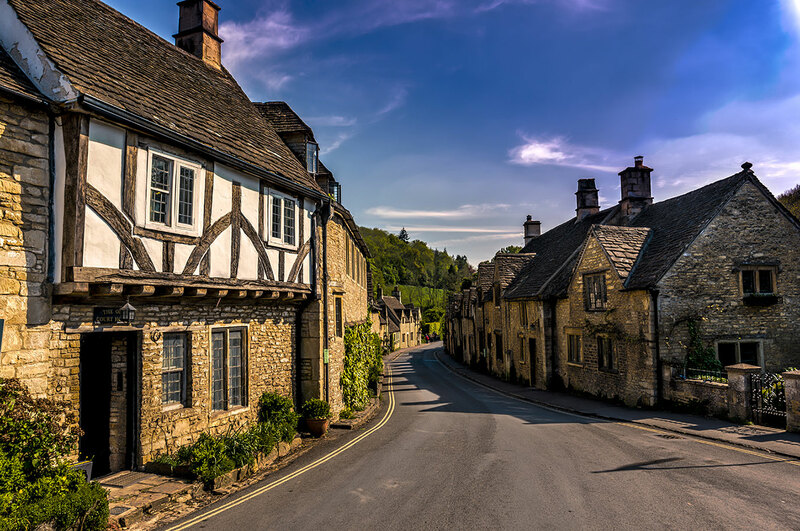 Castle Combe has been called ‘The Prettiest Village in England’ and with good reason; visitors have been coming to enjoy its charms for over a century. The village’s history goes back much further than this, however. The castle that gave Castle Combe its name is now largely gone, though earthworks mark where it once stood. The structure was originally a British hill fort which became occupied by the Romans due to its proximity to The Fosse Way. After the Romans came the Normans, who built the fort up into a castle. By the Middle Ages the village had become an important centre for the wool industry. The spinsters and weavers lived in the cottages (hence names such as “Weaver’s House” throughout the town) and the river, still known as By Brook, provided the power to run the mills. In more recent times the village has played host to many filming activities, the most famous of these being ‘Doctor Dolittle’ filmed in and around the village in 1966. More recently the village has had a major role in ‘War Horse’, ‘Stardust’,’The Wolf Man’ as well as an advert for Solvil et Titus. 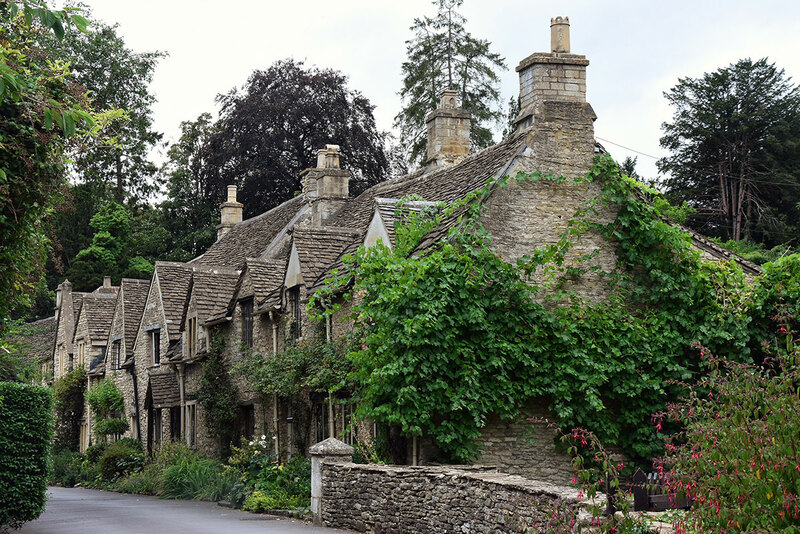 Castle Combe’s houses are all of typical Cotswold type, constructed in stone with thick walls and roofs made from split natural stone tiles. The properties in the village are hundreds of years old and are listed as ancient monuments. Therefore, strict rules apply to preserve the beauty and character of Castle Combe for future generations to admire. The village centres around the ‘market cross’, a building with stone pillars and an ornamental stone carving decorating the roof, dating from the 14th century. It was built to commemorate the town being granted permission to hold a market. The stone structure just in front of the market cross is there to help horse riders to dismount more easily. Castle Combe is also a sanctuary to wildlife as it is a conservation area. Among the places to see in this fairytale town is St Andrew’s Church, which dates from the thirteenth century. It houses a faceless clock that is reputed to be one of the oldest working clocks in the country. Stroll further along the village towards the bridge and you’ll not only be able to enjoy the views but may just be able to purchase homemade cakes, sweets or flower bouquets from outside one of the locals’ houses as well.